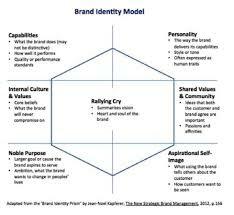 This article paper focus on to Creating a Successful Brand Identity. Brand Identity or image is very important for an organization. Brand is the name, term, design, symbol or every other feature that identifies something. A brand in it’s fundamental nature is a lot more than just an attractive Emblem, an appealing tagline and is an accumulation of awareness about an business that generates good partnership, encourages potential, promotes vision and portrays an awareness of of exclusivity.